Whether you live at the beach or in the city, temps this time of year can be pretty unpredictable. Cool mornings give way to warm afternoons before leading into brisk evenings. Sometimes the temp can change more than 15 degrees in a day which makes choosing the right outfit in the morning tricky. 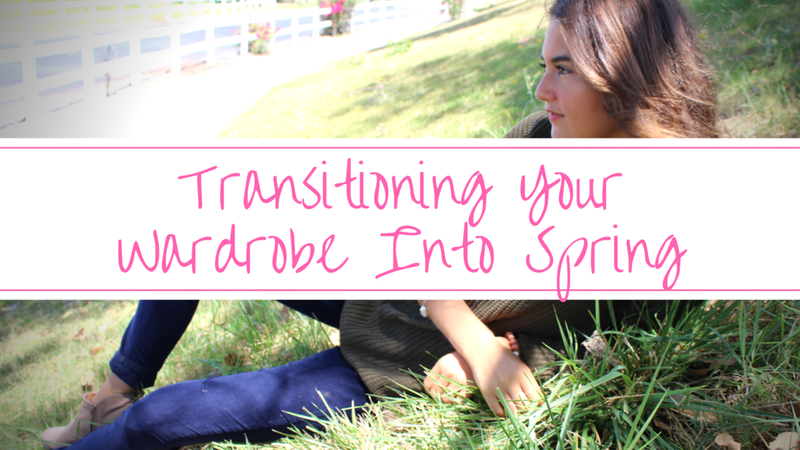 Luckily, spring is the perfect time for easy layers, new jeans, and testing out the latest trends. Nothing looks more chic than an easy, yet sophisticated layered look. This is super functional for the almost-spring weather, and affords you a variety of options. Tossing a lightweight cardigan over a sweet cami pairs perfectly with skinny jeans and a bootie or a heel. A look like this lets you comfortably transition from your morning coffee into an afternoon lunch with friends and evening happy hour without feeling the need to change your outfit every time you step outside. Just because it’s warming up doesn’t mean you have to ditch your denim. Try wearing more cut-off jeans, or cuffing your jeans at the bottom. Another great trick is to play around with the color of your denim. Switching from the dark washes of winter into more light-washed and faded jeans is perfect for spring. Also, don’t listen to that “no white after Labor Day” rule. Now is the time to wear white jeans! Wearing white jeans is an ideal transition into spring because they make any outfit look brighter and livelier. In addition to white, try playing around with other colors like lavender and blush pink to freshen up your denim for spring and summer. Have you seen our pearl jeans? They are so cute for spring! Pearl-embellished jeans will be a hot trend this season, so don’t be afraid to try something new. Although we’ll always be a huge fan of classic skinny jeans, switch it up this spring in denim with different cuts, washes, and/or hems. Aside from denim, try out other trends like flowy tops, embroidery, and fun accessories. Statement earrings are all the rage right now, and you don’t have to break the bank to score a pair that you love. Lastly, don’t forget the importance of your shoes. A pair of shoes can completely change the overall impression your outfit makes. Try out some mules or bold heels to really elevate your look going into a new season.